Kelly born in 1977; and Clint, born in 1979. I also have thee grandchildren ages 5, 6, and 7. I have worked at Spring Hill College for the past 24 years as the Assistant to the Provost. I also serve as a Mary Kay Independent Beauty Consultant. I love teaching skincare and making women feel good about themselves! But my great think in life is being a grandmother!!! I love my kids and my three grandchildren--Lachlan, Kellyanne, and Will! My heart is full when I am with them. Cheryl Barnett Kirkland has a birthday today. Cheryl Barnett Kirkland updated her profile. View. 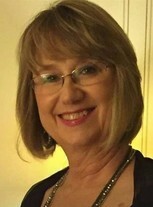 Cheryl Barnett Kirkland changed her "Now" picture.